New Super Mario Bros. U Deluxe is ranked in the 81st percentile of games scored on OpenCritic. If you love 2D Mario games and you are looking for a title that will provide you with rich content and will and enjoyable gameplay, then the new Super Mario Bros U Deluxe is for you. EXCELLENT - New Super Mario Brothers U Deluxe packs in a lot of content. It’s understandable to be hesitant to dive in at full price, however if you do you’ll be instantly reminded of the joy a Mario game can provide. If you haven’t played these games before it is a no brainer. Nintendo is as good as it gets in level design and control and this collection of the two Wii U games is a great reminder of this. More of a collection than a Deluxe Edition, New Super Mario Bros. U for Switch offers the opportunity to play an excellent 2D platform in the best possible way today. 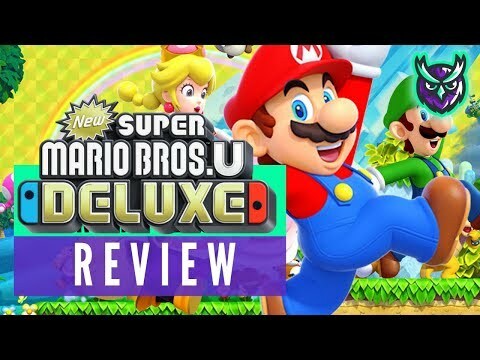 In the more likely event that you missed it the first time around, New Super Mario Bros. U Deluxe is a must-play for 2D Mario fans and is the best in the 2D line of games since Super Mario World. Whether Nintendo's approach to level design has remained to the same standards of those incredible early games has been an ongoing debate across this "New Super Mario Bros." series that Nintendo started back on the Nintendo DS and Wii, but whether you like it or not, this is certainly the pinnacle of that particular vision. New Super Mario Bros. U Deluxe is a must-have for Switch owners who skipped the Wii U. Packaged with two complete games and a plethora of challenges to complete, the Deluxe version will give you plenty of bang for your buck. Even if you already owned the game, it's worth trying on the Switch, if only to have a mobile, 2D Mario game at the ready. It might not be as difficult as past Mario games, but it's never not fun. For all the grumbling about Nintendo's strategy of releasing last-gen ports to their new console, it's hard to argue when the games are as high quality as New Super Mario Bros. U Deluxe. Nintendo has also added their typically high gloss coat of paint, with new features, new characters and even an entire bonus game. Overall, New Super Mario Bros. U Deluxe doesn't change what we expect from a Mario game and that is fine. Players are given both higher and lower difficulties, with neither making the game so easy it's no longer fun. Even skilled players can have fun with Toadette or Nabbit under the right conditions, just like Luigi U offers plenty of opportunities to learn. So, if you missed out on the original or never finished it, it's hard to say no to New Super Mario Bros. U Deluxe. New Super Mario Bros. U Deluxe has everything a classic Mario should have and something more. But if you already played it on Wii U, it can get a bit boring soon enough. New Super Mario Bros. U Deluxe is a port that offers little to those who enjoy it fully on WiiU, but that is required if, on the contrary, a new adventure of the plumber in its more traditional side is desired. It is not an explosion of creativity and authentic astonishment as in his day were Super Mario World and Yoshi's Island, but it is a 2D platform of quality, varied, challenging and full of content, which also has the adventure of Luigi to change third if at any time we get tired of the main game. A full-fledged 2D Mario, who deserves to appear in a successful console and reach a lot more people. What deserves, no doubt, a new opportunity. Thanks to Nintendo's new technology in Switch, we have the chance to play New Super Mario Bros U Deluxe anywhere we like. It also supports up to 4 players, so just imagine how fun it would be to play Mario on a camping trip with your friends while you share your childhood Mario memories with each other. There's a lot to love about New Super Mario Bros. U Deluxe. The graphics are bold and beautiful, the story is light and whimsical. The game provides plenty of challenge, yet is still approachable for younger gamers thanks to the new characters Nabbit and Toadette. Seven years after its original release, New Super Mario Bros U is still a great platform game, with lots of secrets, and incredibly fun to play in local multiplayer. DX has not many improvements from the original Wii U version. New Super Mario Bros U Deluxe is yet another gem to be snatched from the obscurity of the Wii U and presented to the masses thanks to the Switch's popularity. Despite not featuring much in the way of new content, the addition of Toadette alone creates an entirely fresh way to play this almost seven year old title. For a fan of Mario, a fan of platforming, or just somebody who never had a Wii U, I cannot recommend it enough. Despite the cut content, New Super Mario Bros Deluxe remains the most feature-packed, and dare I say fun 2D Mario game in decades. If you missed it on Wii U, own a Switch and love Mario, platformers, fun and just plain good games, there's no reason not to get New Super Mario Bros U Deluxe. There's just no real reason for those who've played it already to get it again. The game comes across like a love letter to everything that Super Mario Odyssey left behind. New Super Mario Bros. U Deluxe offers the fewest new additions when it comes to Wii u ports for the Nintendo Switch and still starts as full price title. If you never played a New Super Mario Bros. you'll get a varied multiplayer adventure with Super Mario and his friends. 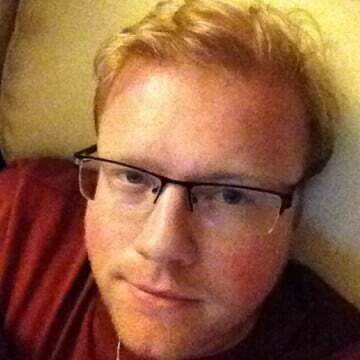 For everyone else: Peachette is definitely not enough to justify buying the game again on the Switch. New Super Mario Bros. U Deluxe is an impressive package if you skipped the original, offering the best of modern-era 2D Mario, madcap multiplayer and glimpses of the outrageous invention that was to come in Super Mario Odyssey. Only the most fervent fans will find enough new content here to justify double-dipping, though, especially if you already played the Luigi expansion. A pretty good new version of the Wii U's launch titles. U DX is far less essential. The package is totally fine, and outside of Peachette leading to one of the most disturbing memes in recent Nintendo memory, the new character's addition is welcome. Aside from that, the only benefits of this release is that it can be truly played portably and it's on a console a lot more people own. "New Super Mario Bros. U Deluxe" proves to be an entertaining 2D jump'n'run with the typical Mario charm. A collection of cute characters, the well-tried, pretty graphics and crisp levels ensure that both beginners and pros get their money's worth. The individual innovations and addons nicely round off the main missions and provide numerous hours of play on the couch at home. However, if you already know the title from Wii U, you won't be able to enjoy any groundbreaking innovations. While I wouldn’t put this latest entry on the same pedestal, this is still a very solid game with a lot of what we’ve all come to love about the series thrown into a melting pot. I don’t think Nintendo would ever put out a “bad” Mario, honestly. There’s plenty here to keep fans and next of kin busy and entertained for quite some time. New Super Mario Bros. U Deluxe is, by itself, quite the appealing edition for players who did not experience the two Wii U games that this title brings together. And it does a very good job at that, thanks to its marvelous work at producing the ultimate version of those games. It's those who have enjoyed those experiences before that will feel most disappointed, however, as this edition does not bring anything truly new or significant for players well accustomed to the originals. 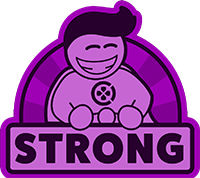 An incredibly strong platforming package is enough to overcome what problems, old and new, this offering has. New Super Mario Bros. U Deluxe is recommended to all platforming fans. Of course, as a loyal Nintendo fan, I own New Super Mario Bros. U and its DLC on the Wii U and was a bit disappointed that Nintendo did not come up with something new for the deluxe version. Although Toadette and thus Princess Peach are a nice bonus and make some jump passages a lot easier. And also the technical implementation is very well. But again porting a six-year-old Mario game (+ DLC) with marginal changes and offering it for the full price tag is a bit overstated in my opinion. Either more content or a lower price would have been desirable. For newcomers who haven't experienced it, this is still a very good game; one that's aged well. But for returning players, there just isn't quite enough to warrant another go. The tweaks mostly relate to Toadette/Peachette and Nabbit as playable characters, but nothing really stands out. I have to say, overall, I found New Super Mario Bros. U Deluxe to be a bit of a disappointment. It isn’t that it’s a bad game, far from it in fact. However, it is one of the weaker Mario games. New Super Mario Bros. U Deluxe is a huge amount of great 2D Mario (and Luigi) platforming and it's at its easiest to pick up and play on Switch, but even with the sheer volume of content this doesn't really feel like a ‘Deluxe' game. Toadette's easier gameplay comes at the cost of a regular difficulty fourth character, and makes for a token appearance of Peach as a playable character, while the best all round multiplayer fun has been left behind with the Wii U's GamePad. The latest Wii U game to receive a (full price) Switch port doesn't do much new. New Super Mario Bros. U Deluxe is all things you want from a traditional side-scrolling Mario game. It is fun, creative and the platforming feels great. However, while the few additions do bring something new, after finishing it - it felt a little like seeing James Bond ordering tea at the bar. He may ask for it "shaken, not stirred" and it may be really good tea, but it's missing that 'kick' to make it truly cool and special again. New Super Mario Bros. U Deluxe is a game that would have benefited from being released in a vacuum. As it stands, this package is one that can neither live up to Nintendo's own suite of contemporary 2D platformers or the Deluxe moniker it is tagged with. Even beyond this point, the game is little more than a window into a bygone era of Nintendo. Offering simple, polished platforming action, this title is suited only for those who have exhausted the genre's other options on Nintendo's hybrid system. While it’s not groundbreaking like Super Mario Odyssey, New Super Mario Bros U Deluxe is still a really solid, addicting platformer with plenty of fun to be had, especially when playing it with friends.